Sensors with several measuring points. Normally constructed with stainless steel or Inconel metallic sheath and internally insulated with compacted magnesium oxide. 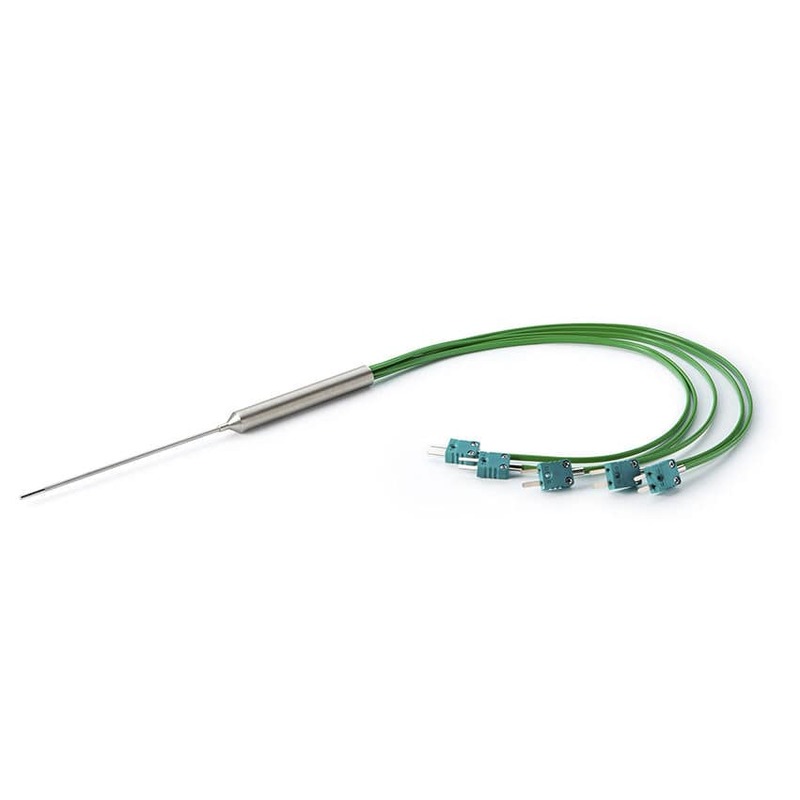 Suitable for measuring temperature gradients of the process with a single probe. Finished in transition bushing and extension cables. Type: J, K, T, E, N, R, S, Pt-100, Pt-1000 and others. No. of measurement points: to be defined according to dimensions. Diameter of the sheath: from 1.5 mm. Termination: bare wires or connector. Cable insulation: PVC, Teflon or Fiberglass.